Ideal for treating your valued clients and your hard working staff alike! 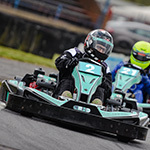 Corporate & Team Building events offering guests the “real” opportunity to take part in a scaled down version of F1 Grand Prix racing or Le Mans style endurance racing. There is no doubt, as our customers feedback suggests, that this type of corporate event is thoroughly enjoyed by all. 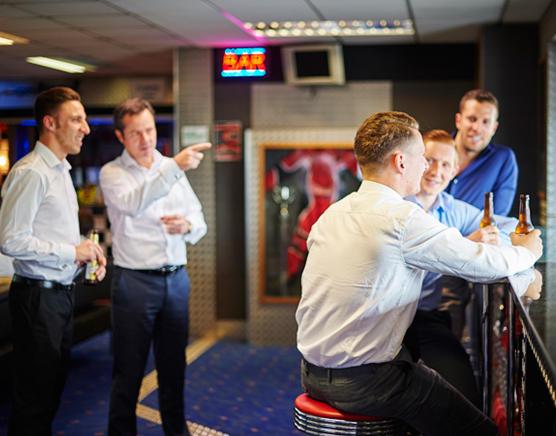 What isn’t always apparent are the fantastic results in terms of staff team building, personal relationships developed and most importantly “harmony” in the working environment that this type of event can enhance. Let our expert event coordinators plan a team building event “on track” based on your brief of what results are required. Having arrived at the Rye-House racing circuit your group will register with our reception desk and sign in. 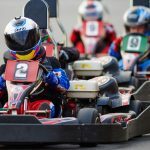 Your group will then be fitted out in the latest race wear before being given a full audio safety briefing and instruction by one of our professional race directors. 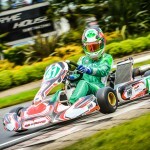 A practice or qualifying session will then be followed by a team endurance race. Once the race is completed your group will be welcomed back to the hospitality suite to enjoy some après race banter, perhaps a drink or two in the bar and our now legendary Rye House bottle of bubbly presentation! For pricing on Exclusive events contact our specialist event co-ordinator in the bookings office. As there are so many permutations with regard to group size, length of race and hospitality required, let us tailor-make an event to suit your budget. Times – Exclusive races can be run from 10am till 10pm, 7 days per week. Please feel free to call and check availability.